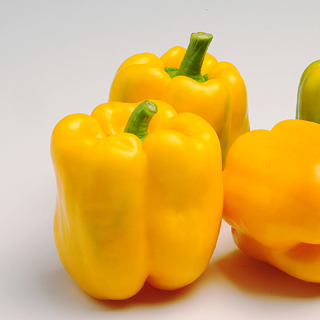 This great tasting sweet bell pepper will add color to your table. Strong plants will continue to produce blocky 4.5" fruit over a long season. Adapts well to patio containers. Harvest as green or mature yellow. Bright yellow peppers mature in 70 days / green 60 days. Plant height: 22 – 25” tall.